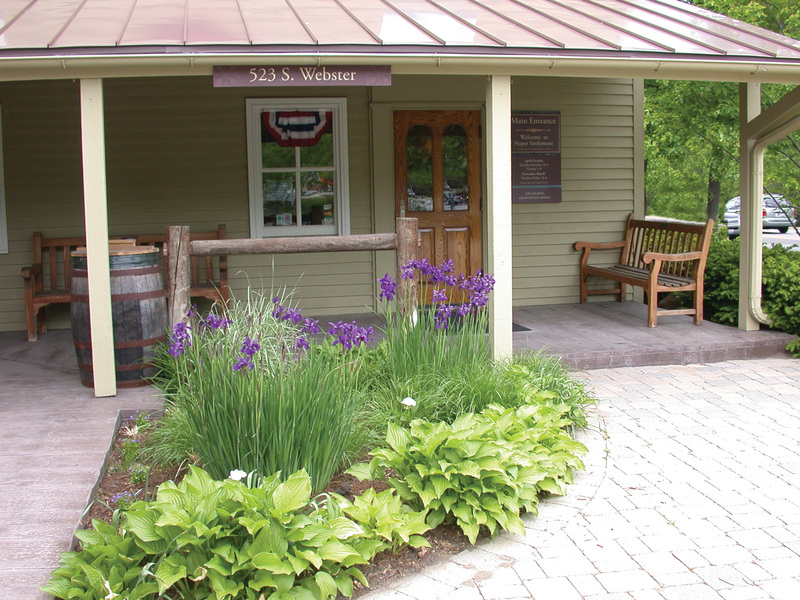 Naper Settlement is a reminder of how one person can make a difference in their community. Caroline Martin Mitchell wanted her home and surrounding farm to be a memorial to her pioneering family. Today, the 13 acres that comprise Naper Settlement and include her home and carriage house are a fitting tribute to Caroline’s vision. Throughout the years, others have contributed to the beauty of Naper Settlement through donations of gardens, trees, chairs and benches. From the comfortable rocking chairs that greet guests at the entrance to the Pre-Emption House Visitor Center, to the benches scattered throughout the site, many have been donated in honor of a loved one or as a tribute to a special occasion. The benches along the pathways offer a resting area under the shade of trees, while the trees themselves are a welcome part of the serene landscape. Dedicating a tree, garden, bench or chair to a loved one is a lasting, eco-friendly contribution. You can be assured that your gift will be enjoyed by many in the community, as well as by visitors who travel far and wide to enjoy Naper Settlement. Download our Heritage Tribute brochure for more details. All Heritage Tributes include personalized plaque recognition. To make a Heritage Tribute donation to Naper Settlement, please contact the Development Department at 630.305.5253.